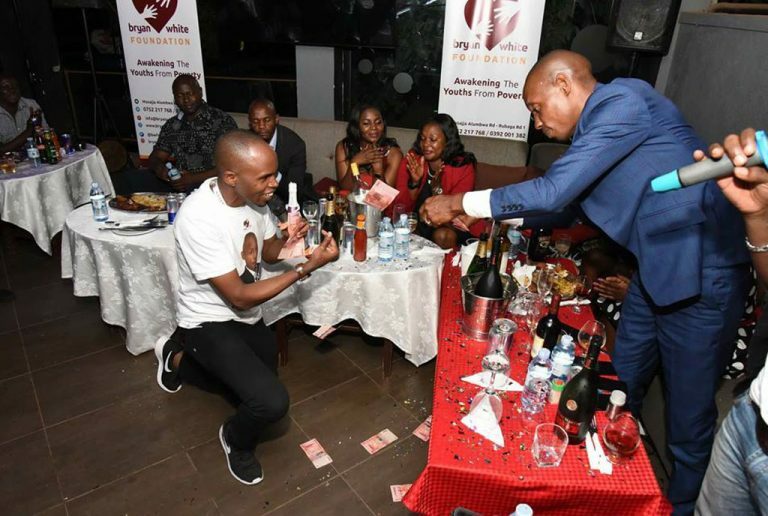 While speaking in Facebook live video with blogger Peng Peng, comedian Alex Muhangi, a former member of the podium has spoken out on being fired by Bryan White. He claims they signed a two months contract and are still employees. “People are saying that we were fired but it’s not true. We had signed two months contracts with the Bryan White Foundation. The contracts were to expire on May 11 and we all knew it,” Muhangi says. Muhangi stated that those who spent their earnings lavishly are in trouble. “We agreed to do serious work for those two months and me I did my part. Those who didn’t save are in trouble,” he laughed. Peng Peng advised Muhangi and the other booted comedians to take to city streets and demonstrate till their former boss takes them back to the podium but he said it was not necessary. “We need to respect the big man’s decision and wait when he calls us back. Me I have enough projects I can be doing in the meantime. But there is no beef between us. We are now friends,” Muhangi said.